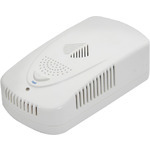 High sensitivity alarm for detecting the leakage of natural gas and liquid petroleum gas (LPG, butane, propane etc). The sensor reacts with the diffused gases in the air directly and generates a linear voltage signal. 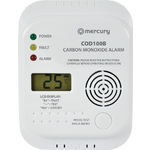 When the detected gas density reaches a set value, the alarm emits a loud alarm signal to alert users to take precautionary measures in time.